"She sets about her work vigorously; her arms are strong for her tasks"
Being a King's daughter is not sitting around all day wearing a tiara, looking pretty and doing nothing. Quite the opposite - we should be working hard and playing hard, living life to the MAX! Life is full and busy and we have a great deal that needs to be done each day. We need to take care of our bodies if we are going to live the life we are created for. A healthy body means we can get a lot done each day and sleep well at night. An unhealthy body means we will be limited physically, emotionally, mentally and spiritually. 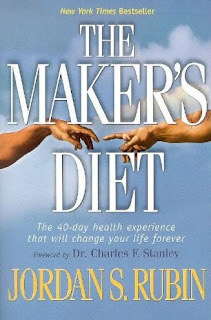 I am very passionate about healthy living and would like to recommend The Maker's Diet book to you! This is a fascinating book based on biblical precepts and scientific resources. After reading this book I radically changed my eating habits, my exercising, my cleaning products, my toothpaste... ha ha! Water prevents constipation and any toxins from accumulating to dangerous levels in your body. Lack of water makes you smell bad (not nice). Water keeps the skin looking younger, healthy and glowing. Water aids in the elimination of fats. Without water, fat deposits in the body will increase. A mere 2% drop in our body's water supply can cause fuzzy short-term memory, trouble with basic maths and difficulty focusing on smaller print (fascinating). Of course I could write an entire book on the effects that water has on our body but you can Google it yourself if you like. So if you are not already drinking loads of water may I challenge you to get started? 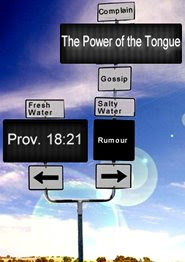 We can do serious harm to someone just by what slides off of our tongue. That is so ugly and no amount of make-up or pretty clothes can cover the ugliness that we wear when we do this. I am sure we have all done this at some point in our life but let's really think about this when we get dressed to meet up with people this week. Make a decision to dress beautifully on the inside and out, when you put on your perfume or a pretty dress also put on a nice clean mouth that won't gossip or say mean things. 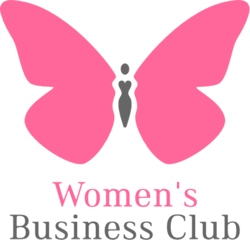 If your chit chat is not going to build a person up rather chit chat about something else. Make sure the absent are always safe around you. Just a thought, hope it helps us all be more beautiful and princess-like this week. Knowing who we are is an essential ingredient to a great life. So many times I see people of all ages spending loads of energy on trying to be who they think they should be. It's hard work being who you are not! You have to constantly be checking what you are doing, that you are keeping up the appearance of being that person, and some people even try and dress to fit the profile. So even more hard work, trying to figure out what to wear that would make you look like who you think you should be... whew I am tired already just thinking about it. I do however understand this, because I have been there and done it so many times. I spent the first 30 years of my life trying to be the person I thought I should be. Thankfully I figured out how to be me and how to love me! I found an amazing freedom that few people find in this day and age which is why you will find that I talk about identity very often. If you struggle with identity and you are not sure who you REALLY are, then may I encourage you to work it out... one small step at a time. The first step that I recommend would be to get into the Bible. Get to know the truth about your creator as we are made in His image - Genesis 1:26 Ask Him to show you the truth about who you are. Our God is so faithful and He is for us not against us. I can vouch from experience that He will show you who you really are if you just ask! 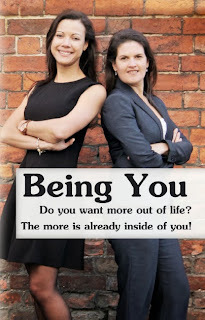 Have a look at my book called Being You for more about this very subject. Share your top tips for finding out who you really are in the comment box below. I thought it was time to do something very girly on our Blog, let's swap recipes! I don't very often cook from a recipe I generally make it up as I go along, but from time to time I am inspired to try a recipe. 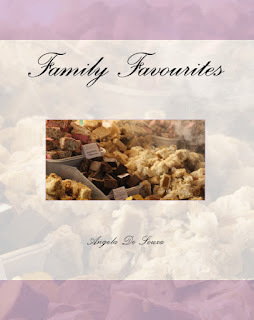 With winter on it's way I thought it would be great to share one of my favourite recipes which we have recorded in our Family Favourites recipe book. So give it a try and see if you like it and why not add one of your favourite recipes in the comment box below. Put the flour on a plate, sprinkle with salt and pepper and coat the meat in the flour. Heat the oil in a frying pan and fry onions. Transfer onions to a casserole dish. Add the beef to the frying pan and brown evenly for 4-5 minutes. Transfer the meat to a casserole dish. Add all the vegetables and garlic to the casserole dish. Add the stout, stock, bouquet garni, vinegar, mustard and sugar. Cook in a preheated oven at 180°C for 2 hrs. I was so excited about sharing this book with you and have finally got all the children settled down so I can get on with it and am not sure where to begin now! How do you describe a book that has you in stitches with laughter but at the same time is so profound that you will not be the same ever again after reading it! I must say I read it a few years ago and find myself reading it over and over as different things hit me during different seasons. My daughters also read it over and over again so our copy is well worn and always being read by someone. My favourite chapter is the first chapter - the just be u chick. This chapter totally blew me away as I realised that it's OK to be me, totally me, and I don't have to copy anyone else for God to use me. Sounds simple enough but so few of us really believe that, most of us never feel good enough and are always working so terribly hard at being good enough. If you are a busy mum like me, I would highly recommend that you at least find time to read the first chapter of God Chicks! You can't really read the rest of the book until you have read that anyway as all the rest hinges on us being who we are. Get your own copy of God Chicks on Amazon. Thanks for all of your kind words! And I am so glad that GODCHICKS has been a blessing to you. That was certainly my intention when I wrote it!! I knew there was a generation of women ready to make a difference in the world, and determined to do it by being themselves! Thank you for being on this journey with me...and for walking strong - with your crown on!